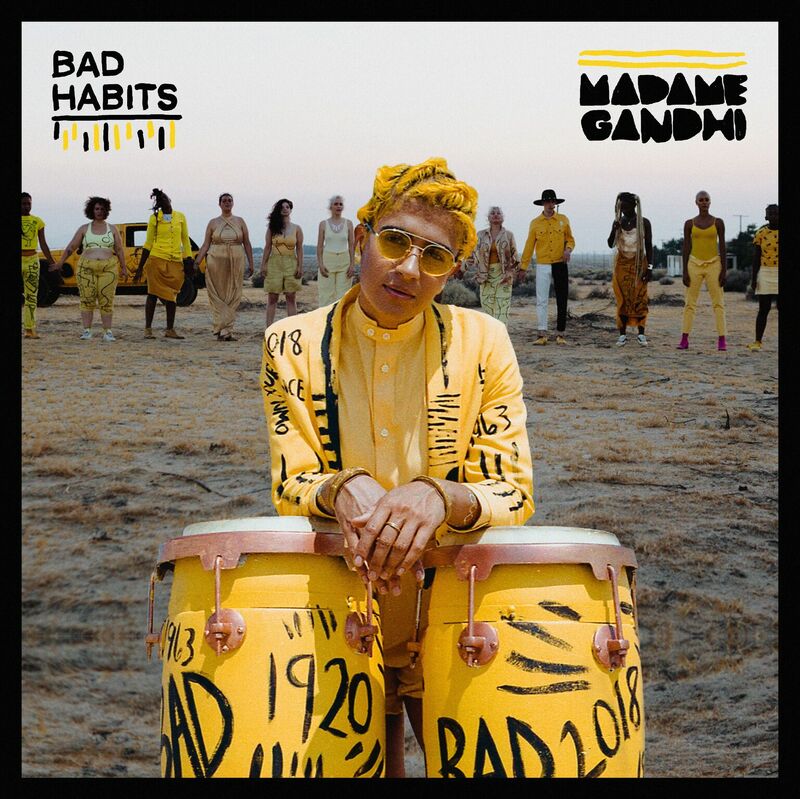 Apogee artist Madame Gandhi released her new single ‘Bad Habits’ today. My song is an uplifting afro-beat inspired electronic anthem called “BadHabits”. A song inspired by 1970s Nigerian artist/activist Fela Kuti, “BadHabits” is about being the best version of yourself so as to serve humanity, featuring my vocals, drums and politics. It links the history of the movements between the 1920s women’s suffrage movement, the Indian independence movement led by Mahatma Gandhi in the 1940s, and the Nigerian independence movement that Fela Kuti’s music celebrated in the 1960s-70s. Produced by young Dallas up-and-comer Zach Witness (Erykah Badu), and directed by London-based filmmaker Raine Allen Miller, “BadHabits” is the fall-into-winter new year’s resolution anthem you have been waiting for!